What a year it's been! 2011 has flown by, and as I look back at some of my favorite memories, I begin to think about thankfulness. Every company has a bottom line. They have a goal for that bottom line. When they reach, they thank themselves. They say, "Hey! We did a great job!" But what about me? I'm the consumer. Without me, you would fail. In the airline and hospitality industries we call it "Loyalty." Encouraging our customers to stay with us through Points, Miles, and Rewards. I've been platinum with Marriott for five years. I achieved my goal of Premier Executive (soon to be Premier Gold) with the new United. I'm Fastbreak at Budget (yep, I'm cheap). I'm Premier at Staples. I've got a Qdoba card, an Office Max Max Perks card, a Best Buy Rewardzone Card, and some rewards card for Toy R Us. I believe in rewards. But I really believe in the art of thankfulness. Over this past year I've made some awesome memories... Memories with Taco Bueno, Boeing, and Marriott. These are companies that I have begun to develop relationships with. And all three are companies who have extended their hand to say "thanks." None of them sent me a gift card (well, I did win Buenohead of the week one week, which comes with a gift card). None of them sent a stock letter. Each one of them talked with me. They said thank you in special way. CEOs, Entrepreneurs, and "Loyalty Experts", hear this: It is time to say thank you. Loyalty should not be a strategy... it should be a way of life. I remember waking up early one morning in home in Elizabeth, New Jersey. Everything about the morning was normal. I was reading up on Twitter, my wife was making some breakfast. In Everett, Washington, it was raining. The masses were going about their normal lives, but the Boeing Plant was buzzing. 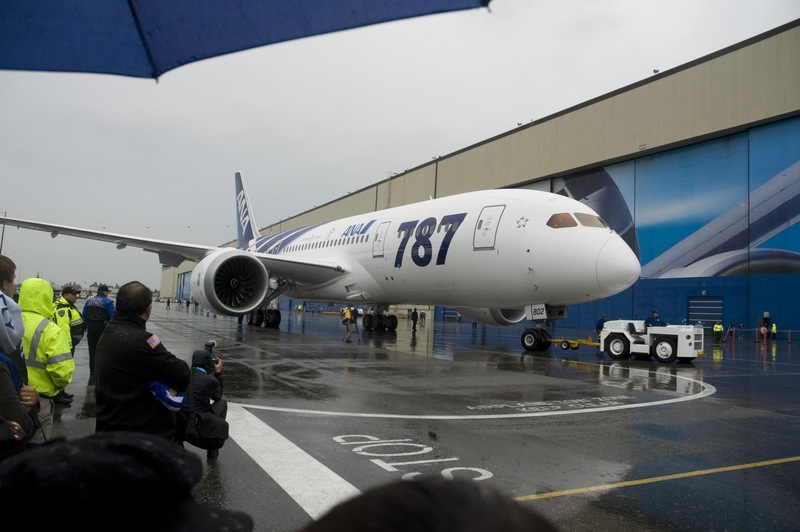 After several delays the Boeing 787 Dreamliner was about to take to the skies. I had my eyes glued to the intoxicating glow of my Mac Book Pro. ZA001 was cleared for takeoff, and history changed. 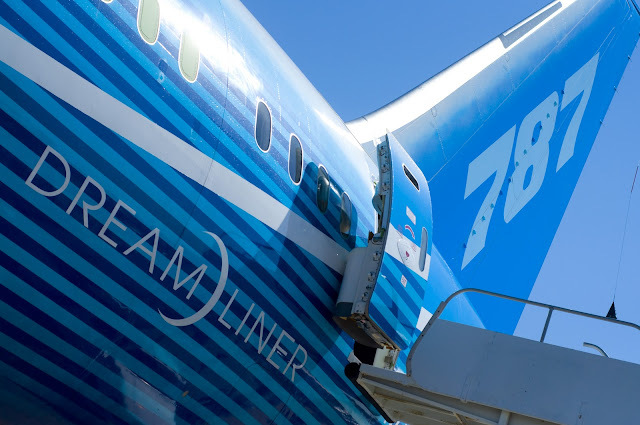 I saw the 787 with my own eyes for the first time in November of 2010 when I went to the Future of Flight and Boeing Factory Tour. From high above the factory floor I knew this dream would change the aviation industry forever. 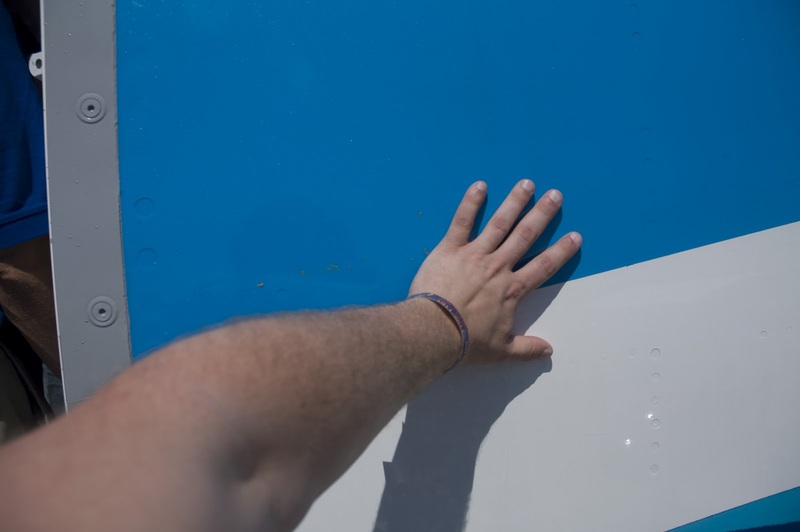 I also knew I needed to touch the Dreamliner. At EAA’s Oshkosh Airventure I was awestruck as ZA001 circled over the airfield. She was quiet, graceful, and beautiful. Her low pass was effortless, and her landing was perfect. I stood in line for four hours to experience fifteen minutes in the 787. I received two things from that event; a great sunburn, and the joy of touching a plane that so many men and women worked so hard to create. On my flight to SEA I reflected on the journey to the delivery. I thought about all of the people who moaned so much about the delays. (You can read my thoughts about the delays here: Don’t Hate the Delays.) I imagined what efforts were taken to explore new materials and change wing designs. On Monday, September 26th, I woke up (far too) early. I showered and donned my favorite Boeing hoodie, and I headed north from my hotel. Once again, it was raining in Seattle. I once read a Hawaiian Proverb: Rains gives life. That day it would give life to a new era of air travel. We arrived outside of the 787 bay of the factory to a crowd of Boeing employees and (what I assume were) ANA employees. No one was deterred by the rainy Seattle day, there were high spirits all around. The ceremony started with the Grand Entrance of the 787 to be delivered with 500 (my rough guess) Boeing employees clearing its path. 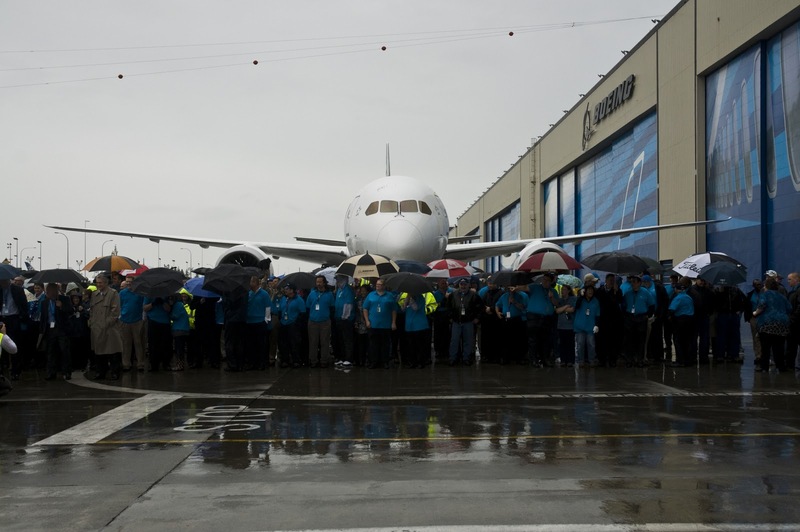 It was an emotional moment for many Boeing workers, as the dream set before them years ago became reality. 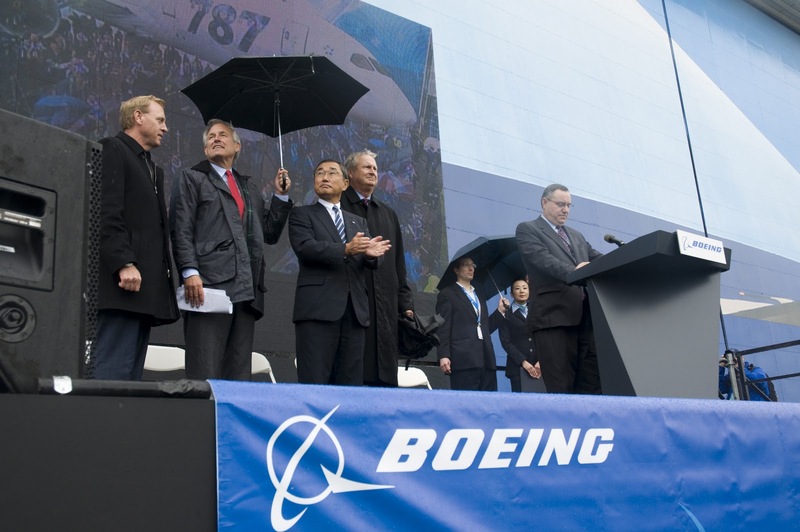 McNerney and Ito look at the 787 during the ceremony. Shinichiro Ito, the CEO of All Nipon Airways, didn’t give a speech, he told a story of plane and its people who faced many challenges, but joined together, despite a communication barrier, and overcame the mountain in front of them. 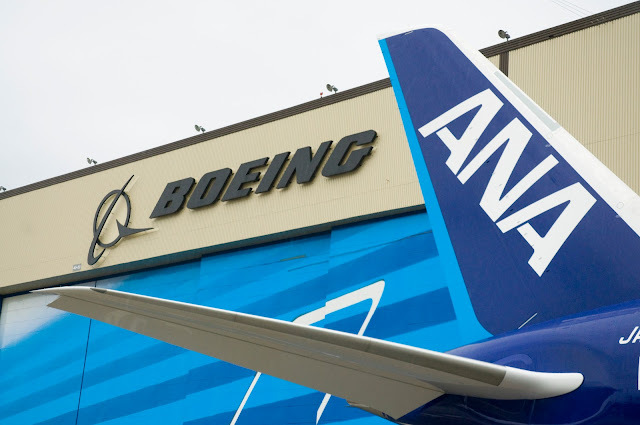 His story was filled with sincere thankfulness to have the honor of flying the 787 first, and for the support that Boeing provided, and will continue to provide, ANA. James McNerney, the CEO of Boeing, proclaimed a resounding trumpet of victory. His team fought through the hard delays, and constant ridicule of the media, to get to this moment. The entire ceremony was more beautiful than a wedding, more honoring than a military salute, and more outspoken than a moment of silence. 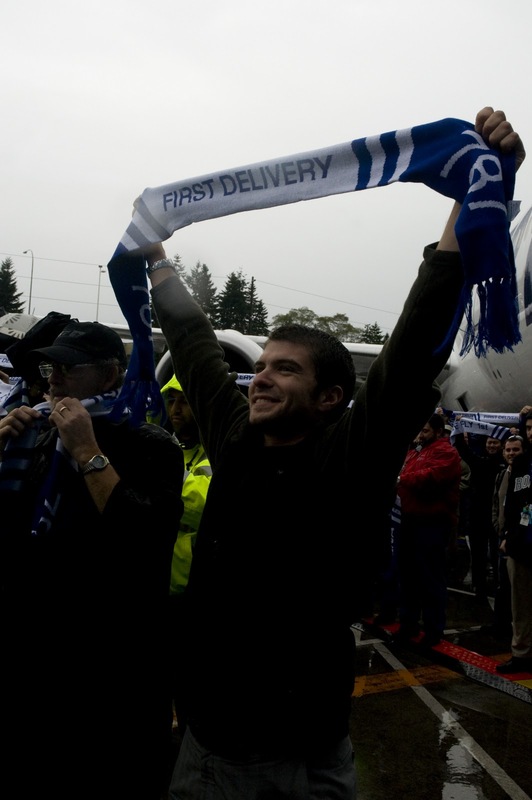 There was so much pride and joy in the faces of the Boeing Employees. It meant the world to me to be a part of it. The rest of the day included a private factory tour, on the factory floor. I cannot show you any images, but I want you to know that Boeing is a well-oiled machine. They know how to make airplanes. 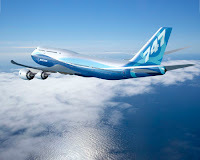 The whole day can be summed up in this: Boeing doesn’t make airplanes, they deliver the machines that dreams are made of. I would like to thank Mike and Bernard for hosting the others and me during this amazing day. Bernard, thank you for creating this opportunity for me. Mike, thank you for the wonderful gifts from the Boeing Store and for lunch. I would also like to thank the entire Boeing Company for taking great pride in what you do. Your dedication helps create the most amazing flying machines in the world. Also a special thanks should be given to Eric for working hard on those great videos. To conclude: If it ain’t Boeing, I ain’t going. But, hey, I’m just some guy who likes to look at airplanes, so what do I know? 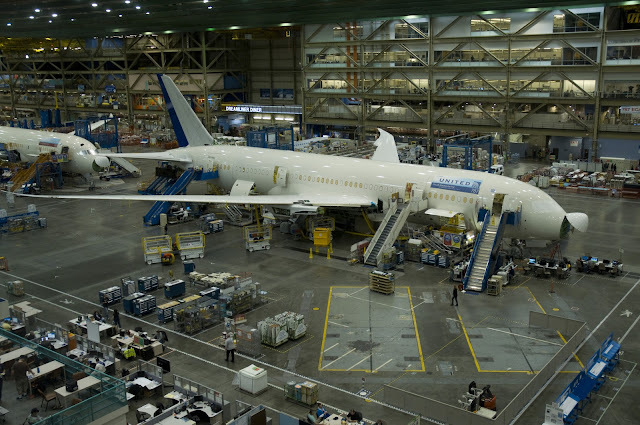 The ANA 787 infront of the factory. 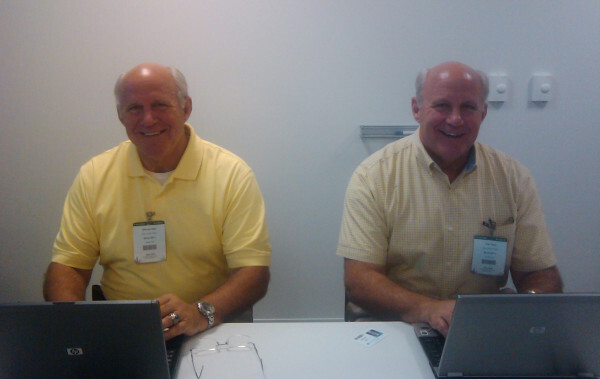 Users were encouraged to ask questions and the Tom and George would answer for an hour. During the event United gave away two model 777s. 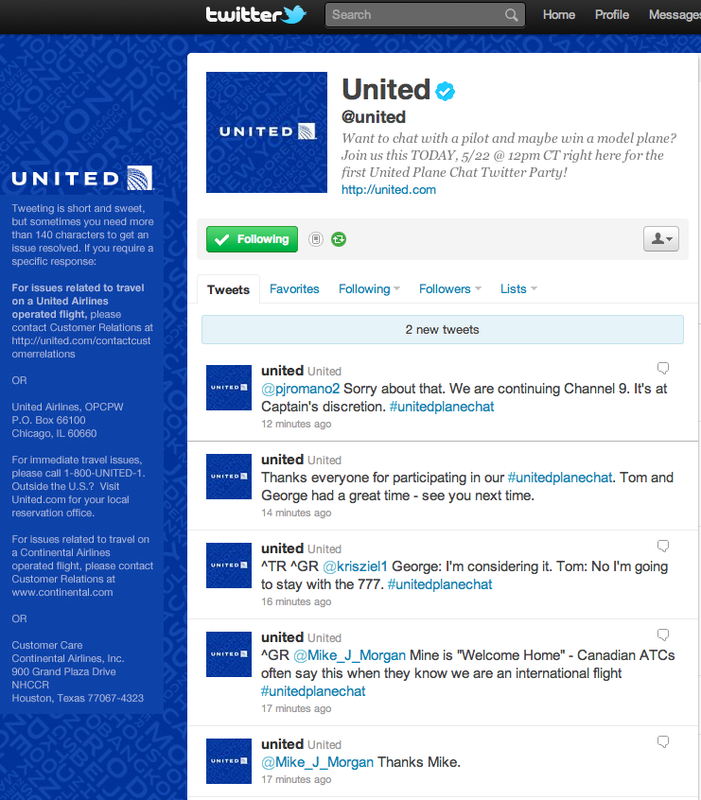 The chat was a great way to engage customers, and I hope to see more of this from United. Now, If I can only get them to have a tweetup in OKC, we'll be doing good! But, hey, Im just some guy who likes to look at airplanes, so what do I know? A screen shot of the @united Twitter feed. The Future Of Super Sonic. The Paris Air Show is full of concepts. Two of them have to deal with Super Sonic Transports (SSTs). Murdo Morrison, editor of Flight International magazine told CNN, "Good luck to [the inventors], but I'm very skeptical. "1 As well he should be. There have been many concepts of super sonic travel for the common man, but only two have ever made it to the skies, and most of those planes are filled with concrete to keep them from ever flying again. For those who have lofty dreams of flying at super sonic speeds, let's break down the reasons that will keep us from joining the few who have moved faster than the speed of sound. The most important reason is cost. The development of a plane that can travel faster than the speed of sound is a high price that only countries seem to be able to afford. Look to Concorde. When Concorde was created it was through a treaty of two countries, not a business agreement between to businesses. Concorde was sold to British Airways for the price of 1 Pound. Concordski (the Russian TU-144) was mostly a stolen design, and America decided against funding the Boeing version. If a company did have the funds to create such a plane, the next issue is that most airlines couldn't afford it. Richard Branson offered BA the same price they paid for Concorde if they would sell to Virgin Atlantic. Next, look to the investment that airlines are making in Jumbos and Super Jumbos. It is often more profitable to carry more passengers slower than fewer passengers faster. Concorde made BA money, but Air France lost. It's a hard market to break into, and if your airline doesn't have the right hubs, you can't offer the routes that the rich want to travel. I want to take a moment to point out that one of the manufacturers that is touting a SST design is EADS, parent company of Airbus -- And, if you recall right, Airbus helped shut down the Concorde program to focus more of its money on the Double Decker Death Trap (A380). There are other issues with an SST, but most companies won't get past the money issue. Don't get me wrong, I'd love to travel at twice or ten times the speed of sound, but we're a long ways away from that. But concept are no more than ideas in someone's head. Find the money and you still have to create a plane that can fly at 80,000 feet on seaweed. In the song "Secret Crowds", Tom Delonge of Angels and Airwaves says, "If I had my own world, I'd build you an empire." Today's post is a little less business and a little more introspective. If you had your own world, what would you do with it? What would you create? What would be the silver lining? Tom talks about spreading "love like violence" and "hope like fire". Would your world be filled with a violent love, or a love of violence? Mostly, you should listen to the song. Listen to all of Angels and Airwaves music because it's good. It's the music that brought my wife and I together. So enjoy. Does this sound familiar: You pull up to your local fast food joint to see a long drive-thru line and no one is inside. In your mind it seems straight forward to go inside and get your food quicker. You walk inside and wait for three, maybe five minutes before someone comes to take your order. And then the worst thing ever: you wait 20 minutes to get your "fast" food. The world we live in moves at the speed of light, and we expect our food to be the same way. We want fast service. The invention of the Drive-Thru window seems to have some inaccurate history with it. 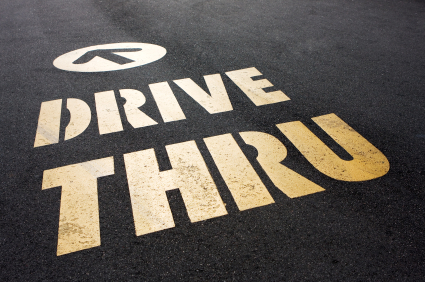 Mostly, there are a number of places that claim the rite of "First Store With A Drive Thru." Either way, it works like this: Ford invented the assembly line, McDonald's made it work for fast food, and someone said, "let's add a way for people to not even get out of cars to get their food." Since then, we have sacrificed quality for speed. Let me make this clear: I am in no way hating on Fast Food. If it weren't for Taco Bueno, I would starve. But there's a problem with this drive-thru mentality: a human being is less important than a car. I've worked at two fast food restaurants: Taco Bueno and Whataburger. Both of these fast food joints share a common birthplace (Texas) and a commitment to quality food. Taco Bueno aims for a "show" time of 30 seconds at the drive thru window. Show Time: Show time is the amount of time that starts when a customer arrives at the drive-thru window or "pickup window" and ends when the customer pulls away. Taco Bueno's show time is lengthy compared to that of McDonald's, which aims to be 15 seconds. Whataburger cared a little less, they didn't really even keep record of the time because their goal was to make the food fresh when a customer orders. But most fast food chains base performance off of the drive-thru show time. That's great for the hungry patrons who are picking up a burger between Yoga and Soccer Practice, but what about the customers who come in to the store? At many fast food joints there are four to five people dedicated to the drive-thru operations and one or two dedicated to the dining room. And the worst part is, most of the dining room crews are the newest team members, leaving them unknowledgable. So, you and your family come in to a dining room to eat, and you wait 30 minutes to get your food in an unclean area because the new guy doesn't realize that it's his responsibility to clean it and the manager on duty is only focused on his show time. But it's not just the drive-thru, what about when you're at AutoZone trying to check out, and the guy waiting on you stops to go answer the phone? When a person comes in to your store it doesn't mean that they're not in a hurry by trying to use the fastest route, it means that they are taking time out of their busy day to be your patron, and you should put your best foot forward.... but do you? I mean, really, do you? 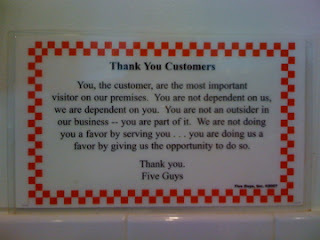 The sign at Five Guys that says it all. There's a lot of buzz right now about a 1000 passenger A380. As you may know, I prefer to call the A380 the Double Decker Death Trap. I may not be liked by a number of Airbus employees and fans because of this, but there are many reasons why I worry about the safety of the A380, and moreso a 1000 pax version. There's a phrase, "The bigger you are, the harder you fall." Airbus has been number two for a long time. The reason? An iconic plane called the 747 (and I'll tack on the 777 as well). Boeing has always built a better plane, but right now there is a lot of uncertainty in the Chicago headquarters. Customers are frustrated with the 787 delays, and Boeing has yet to make a decision about a 737 replacement or re-engine. As is often the case with an anxious company, Airbus feels that they have a lead right now. They've got the A320NEO, and the A380 flying (well, minus when the engines blow up), and the A350WXB is well on its way with over 500 orders. Often when a misguided underdog takes the lead, they want to put a great distance between them and their number two. So Airbus calls for the 1000 seat Double Decker Death Trap. What I'm trying to say is that bigger isn't always better, and the slow and steady company will win this race. Plus, I'm not riding in an oversized sardine can. I wanted to share a little of what the new Taco Bueno interior looks like. Please note that the free wifi will be available at this location around the second week of February. Please enjoy! It's not often I leave an airport and think, So, when do I get to go back? 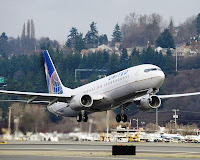 As I watched MDT disappear out of the window of the United Airlines (Operated by Trans States Airlines) Embraer 145, I was wishing that my time at Harrisburg International would have been longer. HIA is an airport that was designed with You in mind. On January 21st, 2011, I was fortunate enough to travel to MDT and spend the afternoon with the Marketing Manager, Stephanie Gehman, and the Marketing Intern, Nancy. They took me on a tour of the facility and answered several questions about the airport. 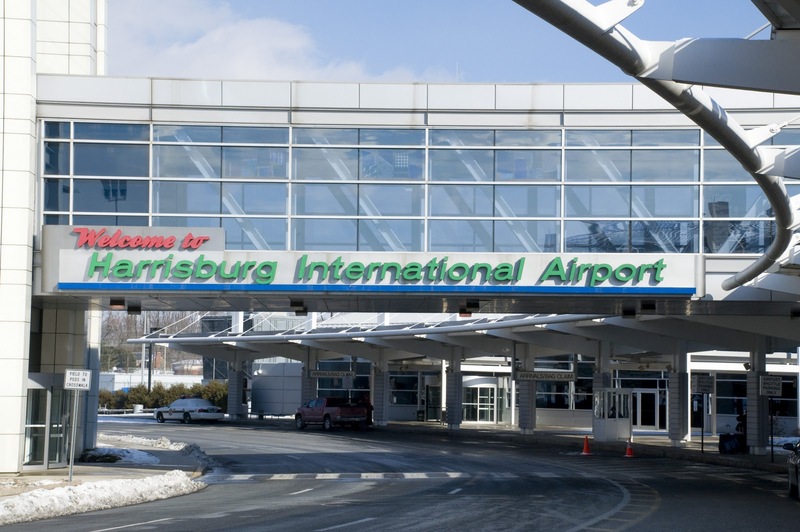 Harrisburg International Airport is actually located in Middletown, PA. 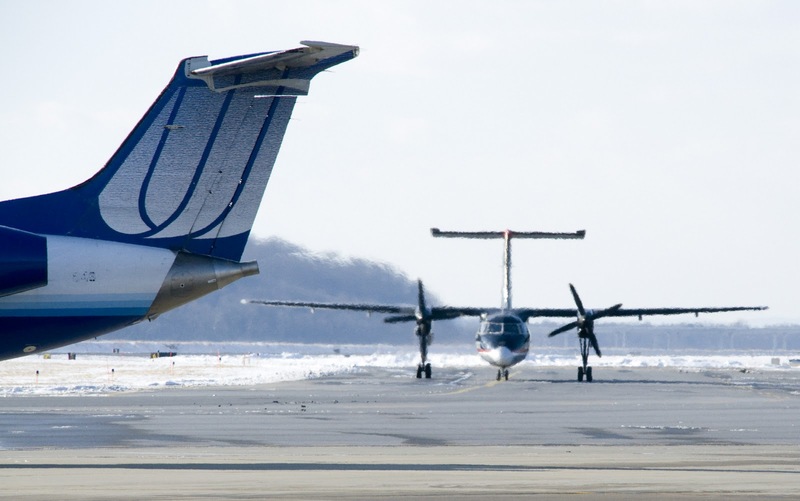 The FAA airport code MDT comes from the city name where the airport is located: MiDdleTown. So don’t be confused when you see the MDT airport code. Stephanie also shared with me a handy way to remember MDT. HIA is located in an area that would have otherwise been served by BWI (Baltimore Washington International) or PHL (Philadelphia). But for people in Dauphin, Perry, Lebanon, and surrounding counties, those airports are farther away, cost more to drive to and park at, and are more time consuming because of longer lines. So, by traveling through MDT you save Money, Distance, and Time. When you arrive at the airport, you will find two parking options (garage parking, and Long-Term). 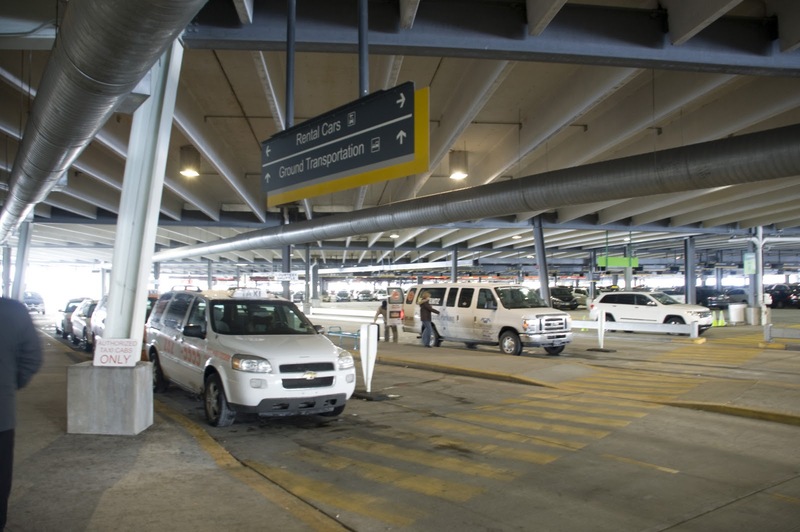 The long-term parking is located on the east side of the airport, with the other parking options located at the MMTF (Multi-Modal Transportation Facility), which is also known as the parking garage. If you park at the garage, you can take the sky bridge from the second level of the garage to the second level of the terminal building. One of the great things about the MMTF is that every spot is a good spot. Located on the east and west sides of the garage are heated and air conditioned walkways that make your journey to the terminal building more pleasant. All airline check-in desks are located on the west side of the first floor of the terminal. One of the extra pleasures of departing from MDT is the many rocking chairs spread out on the public side of the terminal. Note: the public side is referred to as the pre-security side of the airports. Once you’ve got your boarding pass in hand, it’s back up stairs to the second floor to pass through Security. 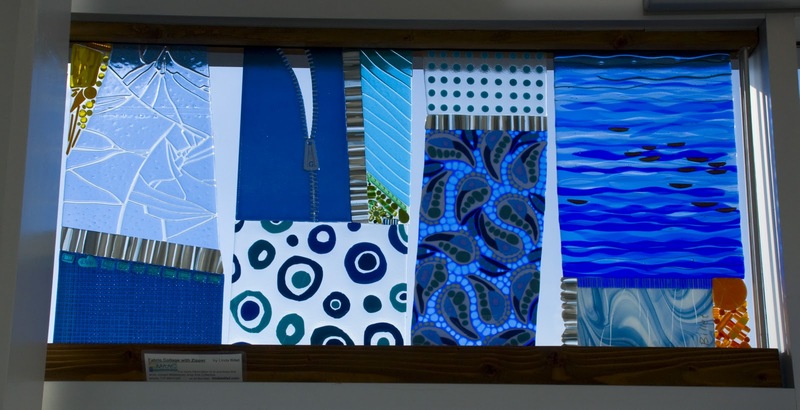 But if you’re not quite ready to send little Johnny off to his first semester at college, you can grab a bite to eat at the food court or swing over to Varsity Grill and enjoy a sit-down meal with memorabilia from many local sports teams. If you love to watch planes come and go, you can also take the elevator up to the third floor to hang out at the observation deck. On a normal day, you’ll see many airliners coming and go, and you stand a good chance of seeing a C-130 practicing touch and gos, and if you arrive on a lucky day, you might get to see Air Force One or other presidential aircraft practicing landing procedures. Once you’re ready to pass through Security, it’s important to note that the TSA in Harrisburg is equipped with both standard metal detectors and full-body scanners. After you’ve made it through Security, the fun of local Harrisburg attractions doesn’t end. If you don’t know what I’m talking about, it’s Hershey. There is a Hershey-themed newsstand with all the chocolates and goodies you may need to take to your friends back home or wherever you are going. You can also visit Perfectly Pennsylvania for all your last-minute Pennsylvania gifts. If you’re hungry MDT offers Subway and Starbucks along with the Capitol Café for all your food and beverage needs. Often, airports provide soft, luxurious leather vibrating chairs. The idea is you pay a few bucks, and you get a five-minute, soothing massage. As always, MDT goes a step beyond. If you’ve got an extra ten, fifteen, thirty minutes, take a trip to Gate B2 and visit my good friend Joyce. Joyce runs Get Grounded, a therapeutic getaway for your body, mind, and spirit. Joyce has skillful hands and extensive knowledge of great pressure points and how to work out those traveling blues. An added bonus: if you’re active military, Joyce will give you a complimentary massage. Tell her Mike sent you. The final bonus is that, unlike the many money-hungry airports, HIA offers complimentary wifi to all of its visitors, so you’re never disconnected from the rest of the world. One final amenity I would like to share about the Susquehanna Club is the conference room. If you’re traveling with a crew and you need to have a meeting before you board the airplane, you can reserve the conference room by calling the airport in advance. But the rewards don’t stop there. Every time you check in a the Susquehanna Club, you are asked to fill out a trip data sheet. By providing this information, you earn points. At the end of each points accrual period, awards are given out for the amount of points you earned. Maybe you’ll get a travel voucher or a free cup of coffee. Either way, earning points is awesome, and this airport is letting you do it. To learn more, visit: http://www.flyhia.com/flyerrewards It is important to note that the rewards accrual periods are occasional and not all year long. For me to just look at the public face of an airport would be worse than Boeing going out of business. One of the extras I want to look at is how Stephanie and her team are building a brand out of an FAA airport code. From time to time, I search Twitter. One of my more recent searches was for “MDT.” One of the first results I found was from @HHRVB (The Hershey Harrisburg Regional Visitors Bureau), which stated that you should fly out of Harrisburg to save money, distance, and time! In my mind airports most often simply exist; they see their primary customer as the airlines. Harrisburg realizes that without the airlines there would be no customers and without the customers there would be no airlines. Stephanie also commented that people treasure airports in their towns and that airports exemplify the ability to escape. With all that in mind, HIA has put a lot of emphasis into reaching the consumer. To do so they have worked tirelessly to create a solid brand. While Stephanie and I were talking, she paused and then made an astounding remark: “This is a culture.” The people of MDT don’t just have a job at an airport; they live for flight, and, to that end, they will stop at nothing. While we were talking about branding, I asked Stephanie why they use Social Media. “How many travelers do you see that don’t have a smart phone?” she asked. She continued on to say that Social Media is a vehicle to answer questions. When the first HIA Facebook group was created in 2007, it only took two weeks to grow to 200 members. Facebook opened the door to communicate with travelers. Stephanie pointed out that you don’t always know what to expect when traveling. She said, “I wanted to take the what-if out the experience.” Social Media has led to a rough average of twenty in-person interactions per week with people whom @HIAairport visit with online. The airport has gone out of its way to engage people online on Facebook, Twitter, their blog, and even foursquare. On your third check in to the airport, you will have earned yourself an HIA luggage tag. Pretty cool, I think. But wait, Mike, weren’t you talking about branding? Of course I was. “Social Media has removed some of the mystery of what MDT is,” quoth Stephanie. As any #avgeek or #prophead would know, airport codes often don’t made sense to the not-so-frequent traveler. Take Orlando’s MCO, for example. People around the airport refer as OIA (Orlando International Airport), but the airlines refer to it as MCO. MDT faces the same problem. Stephanie described this issue as a branding nightmare, but she has found Social Media also to be a vehicle of influence. When AirTran started service from Harrisburg to Fort Lauderdale, Stephanie found that Social Media allowed her to explain what MDT and FLL stand for. People would read tweets posted by @HIAairport about FLL. They knew FLL was somewhere in Florida and would ask Stephanie where it was. These questions opened the door for explanation and conversation. Stephanie finished off by saying Social Media allowed HIA to shape the message they wanted to send. MDT also provides some fantastic planespotting. During my six-hour visit, I got to see 90003 or “Air Force 2” practicing touch and gos. The airport is also host to an Air National Guard base. I was able to watch two C-130s come and go. At the end of my visit, I did get to hear a loud roar, and I rushed to the window only to see a glimpse of what I believe to be an F-16. Stephanie was kind enough to confirm that and even provided a photo of the F-16. If you’re taking a quick trip to MDT for a little planespotting, I might suggest the cell phone parking lot, the fourth floor of the parking garage, and, of course, the observation deck (which, it outside of Security) as great planespotting locations. 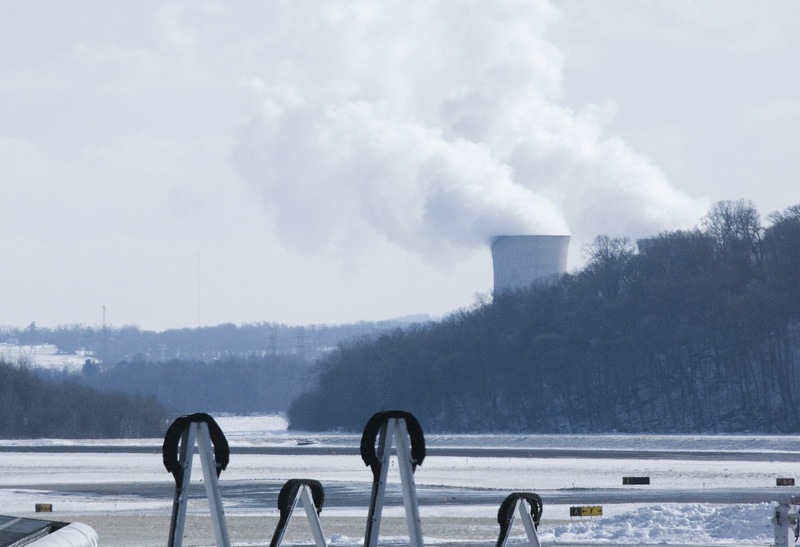 For those of you looking to take interesting pictures, it is important to note that MDT is the closest airport in the world to a nuclear power plant. If you’re on the fourth floor of the garage, aircraft taking off or departing from runway 31 will have a fantastic background—two smoke stacks risking up beyond the distant hills. For those of you who own your own aircraft, MDT has one FBO. AVFlight is located northwest of the terminal building and provides standard amenities for pilots and owners alike. Information about the FBO can be found at their website (Unicom: 122.95). There are also three other local GA airports available: Capital City Airport, Franklin County Regional Airport, and Gettysburg Regional Airport. Harrisburg International Airport truly was built with the traveler in mind. Its state-of-the-art baggage system was the first of its kind to be installed, and the concept has now made its way to many large international airports. 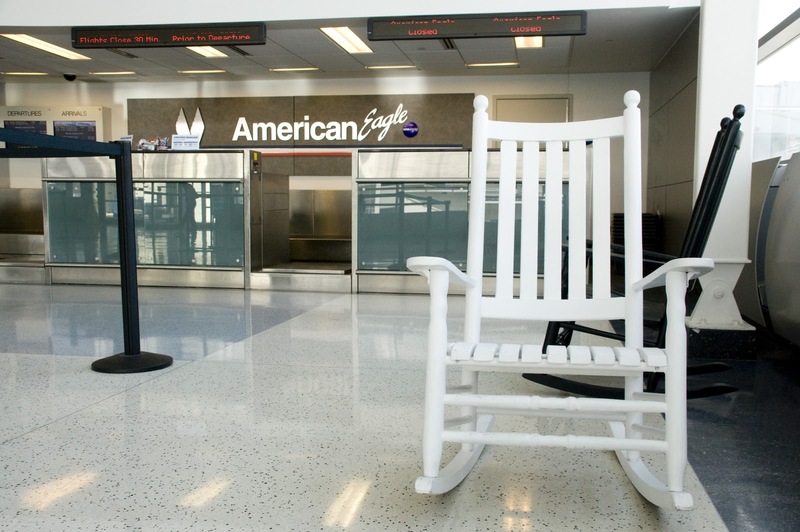 From rocking chairs to a one-of-a-kind rewards program, MDT is also always looking for ways to make the travel experience better. If you’re flying to southeastern Pennsylvania, I strongly recommend that you find your way to Harrisburg; it’s the airport that sets the bar for all other airports. If you are interested in me visiting a certain airport, please leave me a message. If you work at an airport and would like to show off your place, send me an e-mail and I would be more than glad to work with you! My goal is to visit one airport a month. I would like to thank Stephanie, Nancy, and the entire staff at MDT for their time and willingness to work with me! It's often hard to say what a company's goal is when using Social Media. We can assume all day long that the underlying goal is to make money. However, their actual goal may be to increase product awareness or find out what people really think about their business. But in one case, I'd like to assume that an auto dealership in Tucson, Arizona, thought it was their last chance at survival. If you own a Suzuki Equator in Benson, <company name> wants to be your one stop automotive destination. Visit our FB page. The dealership was in trouble. They announced that they would be closing their doors. A week of tweets proclaiming the last chance to get 33% off of all new inventory was all that remained. One thing that I would like to point out is that I have no idea why they were closing their store. The owner could have had a medical reason, or just wanted to retire. But as I have seen many times, Auto Dealers tend to have this notion that Social Media is a over night fix to their declining sales. Let's assume for a moment that Social Media was the owner's plan to save his dealership. Where did he go wrong? The key problem people face with Social Media is that they forget that it is Social. You have to connect and talk with people. Imagine you are at a party. Everyone is mingling and chatting about life. There are conversations about business going on, but that's not the main focus. And then Steve shows up. Steve stands in the middle of the room and starts shouting, "Now in stock at Steve's Auto Sales: a new Ford Taurus only $23,995!" The room stops. Everyone looks at Steve for a moment. But nobody has anything to say in response. The masses go back to their conversations. Steve thinks he made an impact. So, he waits a few minutes and then screams it again. This time everyone just ignores it. And so it continues for the rest of the party. If you were attending that party, would Steve have annoyed you? You bet he would have driven me nuts. There's a good chance I would have left the party. So, when this dealership continued to keep posting the same thing over and over, I began to ignore them. And therefore their Social Media Strategy failed them. Social Media Shouldn't be a Strategy. When kings and queens ruled the world, their children were married for strategic reasons. Every relationship was part of a strategy. As business owners, we tend to think of relationships the same way. "I'll play golf at certain country club so that I can meet the right people." "I go to a specific church so that I can visit with people who can afford the cars I sell." We do it all the time. But people can see through that. Social Media shouldn't be a strategy, it should be a meeting place to learn about your customers, find out how you can help them, and build a transparent business that people can trust. Please understand that if you build a "Social Media Strategy" you're only building a "how to talk with people" strategy. Social Media is an overnight fix, it's a way to grow relationships. Don't believe me? KLM (the dutch airline owned by Air France-KLM Group) decided that they needed to take a different approach with Social Media. They wanted to get Social. So, at their hub, the Amsterdam Airport Schiphol, they started searching for people who were tweeting about flying on KLM and being at the airport. They would research the person using Facebook. And then they would buy a gift that matched the person, and hand deliver it. Now that's being Social. That's a strategy that will actually help create repeat customers. If KLM had just constantly tweeted about how great their flights were, nothing would have ever happened. Oh, and the impact that had? They generated more than 1,000,000 impressions. Lesson Learned: Social Media requires conversations with people, not your normal marketing hoopla. What a week for the #avgeeks out there. IndiGo places the largest jet order ever, and Delta announces an RFP for 200 narrow body aircraft. So, the question of the day, if you could be anyone working for Boeing, Airbus, Delta, Bombardier, United, or any other airline or manufacturer, who would it be, and what would you do? Today, if I were W. James McNerney, Jr., the CEO of Boeing, this is what I would do. Today, we work hard, and Monday, we make a statement. You see, if I were James, I would realize that the time to act is now. The 737 has run its course. The 747, 757, 767, and even (to some extent) the 777 are growing old. The 787 has opened the doors to create stronger, lighter, faster, and cleaner aircraft. A busy weekend would ensue. On Monday, a calm would come before the storm. Let me step out of my day dream for a moment to expand on a theory I have. Boeing isn't stupid. The A320neo is a bandaid to a larger problem, and Boeing knows it. Remember, they didn't seem to excited over the IndiGo order, and why should they? IndiGo wasn't going to buy any 737s anyway. Moreover, Boeing knows something we don't. My theory is simple: Boeing is going to start replacing their entire line with new, carbon fiber models. They're just waiting for the right time to start announcing it. 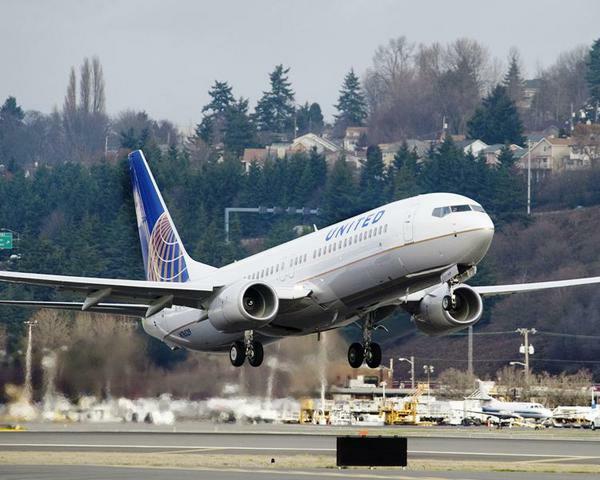 Boeing needs a large launch customer for their 737 replacement. They need an impact to be left on Airbus for making a rash decision to re-engine the A320. Delta wants 200 new narrow-bodies. What are the options: The CSeries, the A320NEO, and the 737NexGen. Bombardier needs to sell their CSeries, so they have a lot to lose. Airbus is cocky, and probably thinks they have nothing to lose. But Boeing has been waiting for the right time. What about a 797 with three key variants. And then give them a great range (you know to become ETOPS 180 rated). 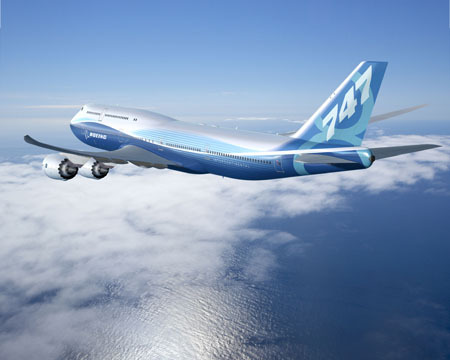 The 797 could quickly become the most desired new aircraft. And, if you really want insult Bombardier and Embraer, you make a -100 version designed to carry 70-100 pax. So, back to my daydream. I would make my announcement on Monday. 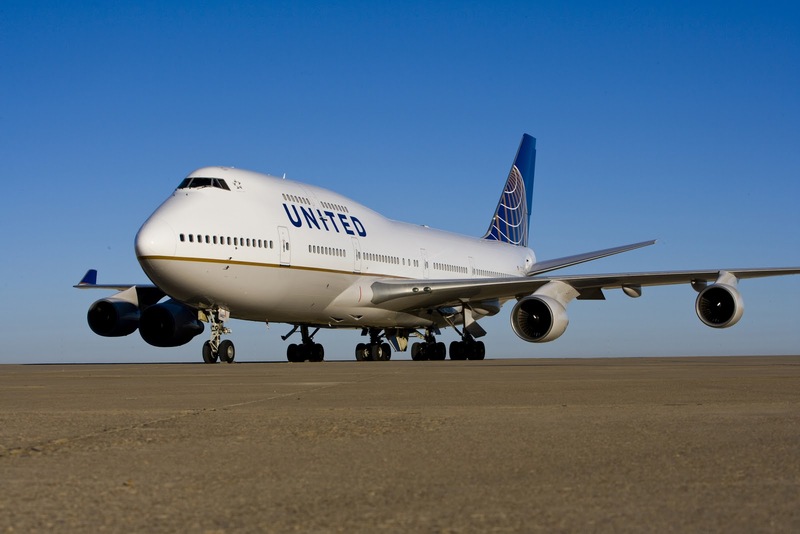 Land a sale with Delta, and then work with United (and its regional carriers) to also sign an MOU. Knowing Boeing, I wouldn't be the least bit surprised. So, what's your fantasy? Let me know what you think should/will happen. I'll continue to support Boeing for the rest of my life. It's a better aircraft, it's a better flight. How Taco Bueno is Becoming More Bueno. Right. This is supposed to be an aviation blog. Sorry, but I'm always thinking about Marketing and Branding. Many of my readers know of my love for Boeing and United (and my brand love for Southwest), but only some of you know of my love for Taco Bueno. In fact, I would often be referred to as a Bueno Head. Taco Bueno is a company that was born out of a desire to make great Tex-Mex food. It has gone through a series of changes over the past ten years. The first change came after the Taco Bueno was purchased by CKE Restaurants. 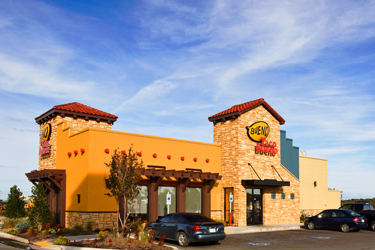 CKE was responsible for creating the first new look of Taco Bueno. With that change came a new POS system and a brand that liked to scream "It's More Bueno!" It was during this time that I first worked for Taco Bueno. I want to make it clear that working there was one of the greatest things in my life. I enjoyed the process of cooking high-quality food and serving customers fast. The second change came after Taco Bueno became an independent company once again. Bueno realized that to grow quickly they had to open up to franchising. So they did. Bueno spread the midwest quickly. They also unleashed a new look for their store. The new Bueno was a little classier and came with some new food options. 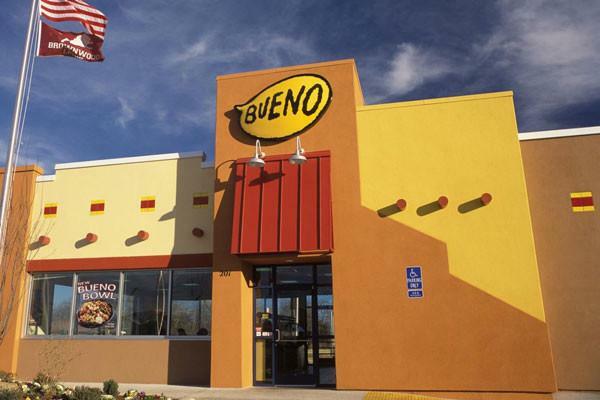 Bueno was determined to grow their business and create a restaurant that could compete with Taco Bell (and, Lord willing, destroy the bell). A few weeks ago I was sent an email from the Bueno Offices in Texas telling me about a redone store here in the Oklahoma City area. At first look, I was underwhelmed. I wrote a long email to the marketing department sharing with them about my thoughts and concerns about where Bueno was headed. But to be fair, I had not yet been to the new Bueno. Welcome to the new Bueno. When I first arrived at the new Bueno I was very impressed with the building itself. The new structure looks classy and well designed. But the inside is what really impressed me. At the old Taco Bueno you would order and then wait for your name or number to be called. You would bus your own table. It was very normal for a fast food joint. But the new Bueno was so much better. The menu is much cleaner looking, and includes a digital display for new and limited time only options. Instead of telling you your order number, they give you a table number so that your food can be delivered to you. The salsa bar looks much nicer. And the staff will even pick up your dirty dishes for you. Oh, yeah, I forgot to mention that. You get real plates, not just something that you throw away. So Bueno is also becoming greener. There are a few other things that you should know about the new Bueno. It includes free wifi. It has TVs around to enjoy the game or watch the news. The interior is laid out to allow for more privacy from other patrons. The new Bueno is the kind of place that I would spend hours just hanging out at (and scarfing down as many tacos as I can). But I did have one complaint. For those familiar with the Bueno menu, I ordered a Beef Nacho Salad. The salad came in a basket (with many holes) which would have allowed my queso, chili sauce, and original red salsa to spill all over the table. So, maybe Bueno should rethink that. Overall, Bueno is becoming a hip, clean, and welcoming place to spend a real family dinner without feeling like you're being rushed through a fast food joint. Great Job Bueno!